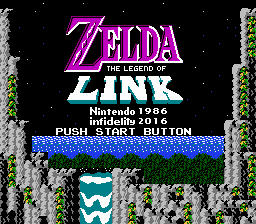 Here is a ROM hack for the Legend of Zelda which has had many hours put into it (just shy of 3 years), ASM and coding changes, and graphics overhauls. 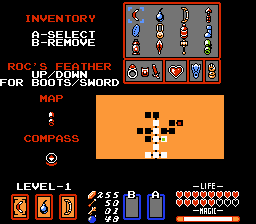 New items have replaced the old ones in the original game and new concepts have been used in the game such as pitfalls, dash boots, the use of the hammer, and many more changes have been added to give the game a much new feel to it. Also the inclusion of the Capcom sound engine is another welcome change that has been added to the game. For more details on the patch and how the project progressed over time please visit this site to take a look at how it started and how it came to its closing end. Please use the PRG0 version of the ROM otherwise the ROM will not work properly. Enjoy! !!!!WARNING!!!! 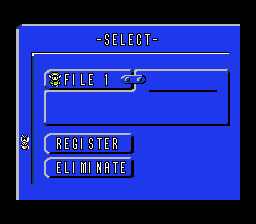 - FOR THOSE UPDATING, YOU MUST DELETE ANY PREVIOUSLY CREATED IN-GAME SAVES FROM WHICH EVER EMULATOR. THIS NEW UPDATE NEEDS TO START FRESH, SINCE THE SRAM HAS BEEN ALTERED. YOU WILL GET A GREY SCREEN UPON BOOTUP IF YOU DON’T. Will this work on…? This game will NOT work on the N8 Everdrive, or PowerPak’s. The N8 Everdrive uses 512kb PRG & CHR-ROM. The author contacted the creator, but he wasn’t interested in creating a revision to his product. PowerPak’s are in the same boat. Loopy’s MMC5 patch works on MMC5 games, but, my work is too large for it to handle. 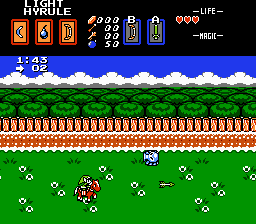 There is a fast way to learn if the romhack will play perfectly on an emulator you use. Watch the intro after the title screen fades away. There is a golden scroll moving up the screen. If that scroll & text comes up garbage, then you should stop playing unfortunately. This is because the emulator you are using, is not utilizing the MMC5 register $5130 correctly. 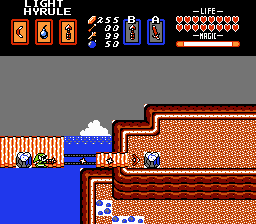 The romhack perform chr swaps for 3 specific things, the intro, a mini game, and the Ganon fight. If you continue to play the game with the garbaged gfx, it will obviously look bad, and it might even crash.